True coffee lovers know - warming coffee on a heating element spoils the fresh-brewed flavor. 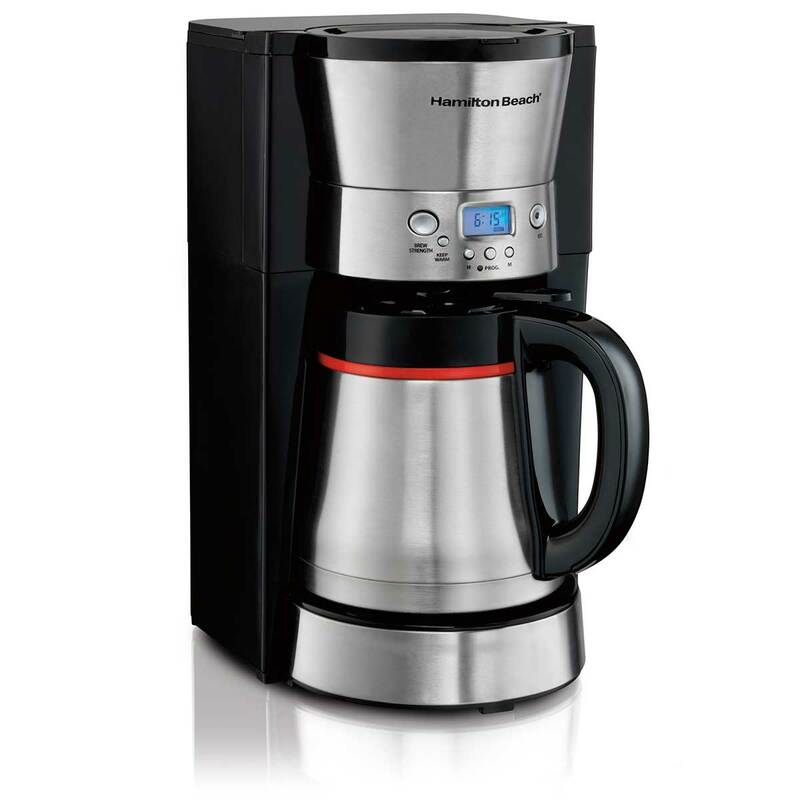 A thermal carafe coffee maker is the connoisseur's choice to keep coffee fresh and piping hot. 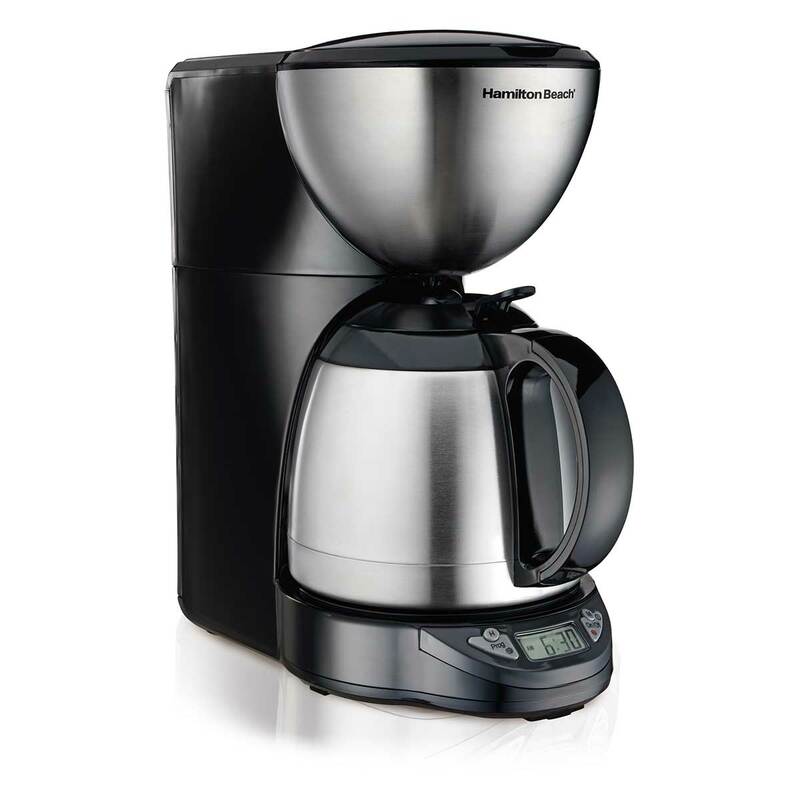 Our Hamilton Beach® Thermal Coffee Makers feature thermal carafes and travel mugs that maintain that wonderful, fresh-brewed coffee flavor. And they feature all the bells and whistles of our other leading coffee makers. For example, the attractive Programmable 10-Cup Thermal Coffee Maker features a top quality insulated carafe, drip free pouring, programmable timer, pause and serve, automatic shut off, and turns out delicious iced coffee too. Once you try fresh-brewed coffee from a thermal carafe, you’ll rethink traditional glass carafes.